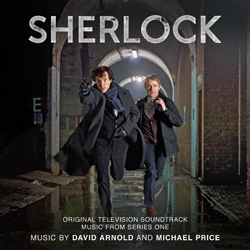 The intelligent, funny and thrilling soundtrack to the fast-paced contemporary hit remake of the Arthur Conan Doyle classic. Composed by David Arnold (Die Another Day, Casino Royale, Hot Fuzz, Paul, Little Britain) and Michael Price (The Inbetweeners Movie, Hot Fuzz, Paul), the soundtrack encompasses a small orchestra, samples and soloists. This highly acclaimed score has received BAFTA and Emmy nominations and won an RTS Television Award.